Nowadays, most popular manufacturers put a theme store on their upper-class handsets. And, for those who don't, there are always custom launchers that support 3rd party icon packs and some crazy customization options. But then again, having too much choice is sometimes a burden, isn't it? “This theme looks better than the last one, but lacks this and that”; “This theme would've been perfect if only it had x”, so on and so forth. Unless the stock UI skin is abysmal, we can see why many people choose to forgo the whole theme shenanigans overall. Where do you stand? Do you pick a new theme on a regular basis, always on the search for the one that's “just right”? Or do you only swap it every once in a couple of blue moons? Or never? Do you use custom themes? I switch mine often! Every once in a while, just to freshen things up a bit. I may or may not pick one theme at the start and pretty much forget to ever change it. Nah, I don't care about custom themes. Every once in a while, just to freshen things up a bit. I may or may not pick one theme at the start and pretty much forget to ever change it. Nah, I don't care about custom themes. Nova launcher & text icons are a must for me. Love the scrollable dock & custom gesture features. Not much of a theme guy. Yeah me too. I use Nova pretty much every time, when a pre-installed launcher is not good enough. Other than that I set my wallpaper, custom ringtones and that's it. Custom background with Material Icons on my Note 5. I'm not a fan of icons being in specific shapes resulting in the size of the actual logo being reduced. I take time to find the 'perfect' theme for the phone (usually based on the phone's color and what I think looks nice together) and leave it there for as long as I have the phone. Themes with Samsung and Huawei phones, launchers with a theme and icons otherwise. I don't use themes; however, I do use Nova Prime. Does anyone know the name of the icon pack that is shown at the beginning of the article? Yes, especially themes. That's something I wish my Max had. Themes give a whole new look to the software, and keep things from becoming so stale. I do and change up about 4 or 5 times a year. I use launchers been using action, nova, Microsoft, Apex, smart launcher 5, Flick, Evie, Poco, and currently Hyperion. 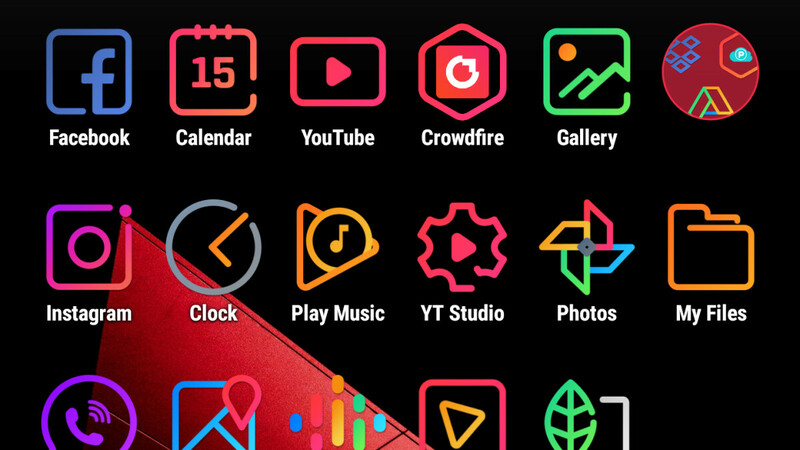 What about how OnePlus devices have customisation? Icon packs and accent color support with 3 themes inbuilt (stock/white/black). I'm guessing that last option is meant for iPhone users............ Jokes aside, I never use the default launcher, evie is perfect for me. Blank home screen with minimalistic app launcher allows me to view my wallpaper in all its glory. I can switch between grid and list app view. Quick settings and app shortcuts directly from the home screen and so much more. I rarely change the theme on my phone, but I like having the ability to do so if I want to, which is one reason I haven't changed over to an iPhone yet. Every once in a while just to freshen up things. Currently using Pixel Launcher with Pix UI Iconpack 2. How about an option called. That doesn't exist in my apple world. I am iOS user BTW. I just didn't vote. Just to change icon size and grid. If the oem ui had that, I wouldn't bother to use another launcher cuz I find oems smoother. I've used themes and custom launchers since 2012. Nowadays I use Nova Launcher Prime to craft my UI to my needs, with some third party icon packs and custom gesture shortcuts. Title says themes or launchers, question is only about themes. Be honest about the content. I use Nova, an icon pack and Substratum theme. i use themes from samsung's shop. I do not use custom launcher. I've been using a new launcher called Niagara for the last 3 months, it's very different, not cluttered, easy to use, lots of features and not a single crash, worth checking out!